"Who was Greg Moore, daddy?" said a six-year-old boy sitting in the grandstands. 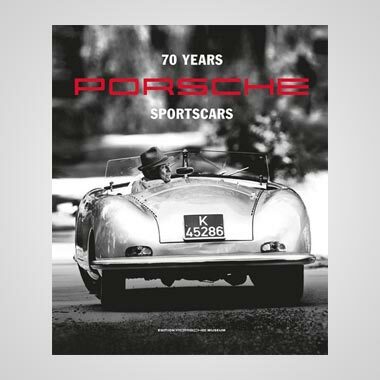 His father leaned towards his kid and said sincerely: "He was Canada's best race driver. He passed away last year, but he was going to be a champion one day." Everyone knew it. For 20 years Champ Car racing has been played on as level a playing field as you're ever likely to get in top-line single-seaters, and in an environment like that a talent like Moore's will always get noticed. Already an established star at 24 when he was snatched away, given the right career decisions — his Penske deal was in the bag — he was going to be a legend. Team owner Gerry Forsythe had spotted it, in Indy Lights, while seeking the next Jacques Villeneuve, a man he had taken from Toyota Atlantic to Champ Cars. The genial American had watched the 19-year-old Moore, in a car run by his father Ric and engineered by Ric's mate Steve Challis, take the fight to the mighty Tasman Motorsports squad in 1994, scoring three wins. Ultimately Tasman's Steve Robertson and Andre Ribeiro prevailed, but in terms of what he'd done with what he had, Moore had been remarkable. Challis, who had engineered him since he embarked on Formula Ford two years earlier, recalls: "It wasn't as though you could compare budgets with Tasman, because ours was non-existent. And that really hurts your chances. For example, we would have won at Toronto but for brake problems; finances forced us to run old brake rotors (discs). But you do your best with what you've got and we gained so much experience that year." Forsythe was only too willing to cure the outfit's budgetary concerns by incorporating Moore and Challis into his Indy Lights squad. "Our major sponsor and partner Player's had a tradition of supporting and nurturing Canadian talent," explains Forsythe, "so we were always looking for the best Canadian. In this instance, though, we had unearthed a genuine talent who just happened to be Canadian." Dominance ensued: Moore won 12 times in 1995, and those who thought that this statistic owed as much to Tasman's graduation to Champ Cars as to Moore's skills were made to think again when he, too, stepped up. From his first time in a Reynard-Mercedes, Moore was completely comfortable with its power and handling. "The leap from Lights to Champ Cars was at that time not too huge," explains Challis. "Lights were actually harder to drive because they were flat-bottomed, so for Greg the move up came pretty easy; he was competitive right away. Gerry did a great job in allowing us to test a lot in the off-season." Forsythe ascribes Moore's easy transition to "a great natural talent". Just as success breeds success, so confidence breeds confidence. The countless testing miles, the symbiotic relationship between driver and engineer, the relaxed environment within Forsythe, all conspired to give Moore the best possible start to his rookie campaign. What was he doing qualifying sixth at Miami's 1.5-mile oval, his first-ever Champ Car race? What was he doing recovering from a very debatable stop-and-go (for passing a backmarker under yellow flags) by executing several outside passes, including unlapping himself from eventual winner Jimmy Vasser? And what was he doing claiming fastest lap? Jeez, who was this kid? And was that a one-off? No, it wasn't. 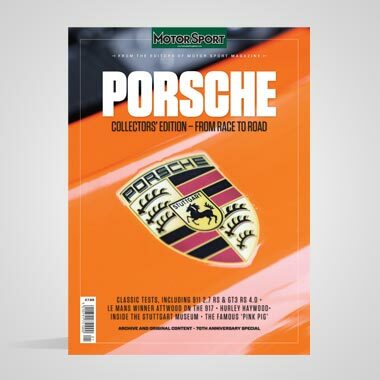 The proof of this came immediately, at one of the series' most demanding oval tracks, the D-shaped Rio. Having qualified fourth, Greg was leading with 18 laps to go when the car's electrics reset themselves and cut all power. From here on, anyone wanting to win on an oval would have to factor car 99 as a rival. Moore had arrived. In just two races. And it wasn't only speed that he was demonstrating. His nous in not screwing his brakes in an attempt to get on terms with the superior cars of Vasser and Scott Pruett at Surfers Paradise brought him a podium. His composed response to the physical remonstrations of Christian Fittipaldi after they collided at Long Beach was admirable, especially as most onlookers reckoned the blame lay with the Brazilian. But it was the fifth round of the year, at Nazareth's tough one-miler, that really brought it home: Moore was special. For one thing, he spent most of practice working on his race set-up. Challis: "He never used to bother about qualifying too much on ovals, because he felt that if he perfected his race set-up he could pass anyone he wanted to. And because he was so happy running the high groove, he was proved right: he could, and would, pass anybody." And that included established stars. He showed no qualms in battling hard with Al Unser Jnr and wasn't the least bit perturbed by the double champion's near-disastrous inside pass in the closing stages. Three laps later Moore repassed the Penske driver round the outside of Turn 2, made it stick and, with five laps to go, pulled a similar move on Emerson Fittipaldi at Turn 3. He hurtled on to finish a blink behind hometown hero Michael Andretti and slurp the champagne — for the first time legally. He'd arrived, now he had come of age. Moore scored three podium finishes that year and ended up ninth in the title race. Although this was not enough to be a serious challenge to Alex Zanardi (three victories, six poles, five fastest laps) in the Rookie of the Year honours, Moore's equipment had not been a consistent match for the Italian's Ganassi-run Reynard-Honda. 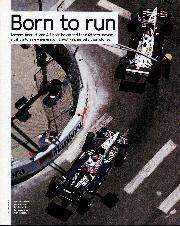 Theirs was a mismatch of experience, too: Zanardi had made his F1 debut the same year Greg started in Formula Ford. All in all, a one-sided battle. It did mean, however, that only a win in 1997 would do for Moore. 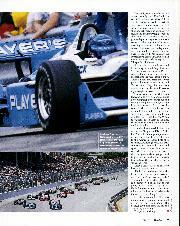 It came at Milwaukee, after wrestling with Paul Tracy and later holding off Michael Andretti, Champ Car heroes both. "It was Forsythe's first victory for three years," says Challis, "but there had never been any pressure from Gerry to succeed. He was brilliant like that. The urgency of finally nailing that first win came from myself and Greg: we were our own harshest critics. And that day was a relief as much as a joy. And then we went and won the next race too, in Detroit." The latter win was achieved in slightly more fortuitous circumstances — the PacWest Reynards of Mauricio Gugelmin and Mark Blundell ran out of fuel on the final lap — but Team Forsythe had gambled right on strategy and no-one begrudged Greg this victory. Actually, no-one begrudged him anything. By now he was known throughout the paddock for being approachable and the man at the centre of any party. But he was also modest. Forsythe: "Greg was confident of his own ability and hungry to win, of course, but he never gave the impression that he thought of himself as anything special, so he became as popular within the team and among his peers as he was with the fans." Forming a gang of four with his fellow CART twenty-somethings Dario Franchitti, Tony Kanaan and Max Papis, Moore lived life to the maximum away from the track. But none of them doubted his on-track commitment. "We respected each other on the track, as you would with any driver," recalls Kanaan, "but I can tell you, we never took it easy on each other, that's for sure." 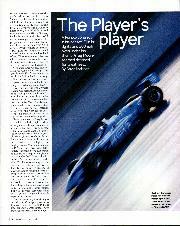 Franchitti concurs: "I remember at Fontana in 1998 some people said that we were all too friendly, that it would affect how hard we raced each other, blah, blah, blah. And I was slipstreaming Greg in practice, pulled out to go past him, and he came down and slammed the door on me. That shut everyone up." Franchitti had by then joined a Honda-powered unit, Team Green, and he's certain that his engine was superior to Forsythe's Ilmor-built V8. 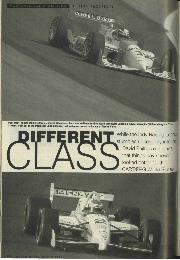 It's a view shared by Challis: "Mercedes had built a new engine for 1998 and peak power wasn't bad — as good as Honda. But Hondas and Cosworths were much more driveable, far more suited to road circuits and street courses. The Mercedes was good when traction wasn't an issue, but it didn't really have much of a powerband: it was all top end. In the rain.., well, it was pretty useless." Kanaan counters: "I don't think you can blame Mercedes completely for Greg's lack of success on road courses. I think Chip Ganassi had his Reynards better prepared than any other team. But yeah, I think if Greg had had a Honda behind him, he would have been battling with Alex Zanardi a lot more." Moore's poles on the streets of Detroit and Houston were a case of mind over matter then. But at least the Mercedes played to his strengths and the majority of the points that put him fourth in the 1998 table were down to his speed on ovals. He was brilliant on them. "Max Papis and I were standing by the track in Homestead watching Greg qualify," says Franchitti, "and he pretty much did the whole track flat out. We just stood there shaking our heads and knew that he would be on pole. 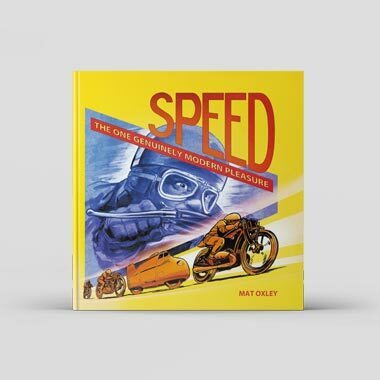 He had that ability, that feel, for driving a Champ Car on the very edge, right on the oversteery side, but also finding grip where others couldn't — or didn't dare. Just following him, sure, you could learn a heck of a lot. If you could keep up." A fourth season in a Reynard-Mercedes might have taken its toll on a lesser man's motivation, but Moore kicked off the 1999 season in style, taking pole and the victory at Miami. However, he'd been looking around for another drive, and Roger Penske had been looking for a new young charger to drag his team out of a winless streak that dated back to May '97. The inevitable was announced in July. Finally, finally, Greg would get his right foot on a Honda, the only downside being a parting of company with Challis after an eight-year relationship. "I was shown the door by Forsythe at, I think, Laguna Seca in September, after I told them I also intended to leave at the season's end," says Challis. "And having just moved my family from Vancouver to Indianapolis, I wasn't keen to move to Reading (Pennsylvania) where Penske were based, especially not on the money they were offering." 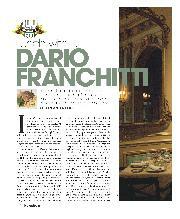 "Absolutely," agrees Franchitti. 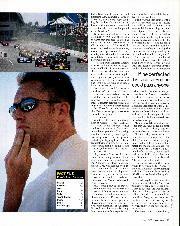 "There's no doubt in my mind that Greg would have won at least one of those two championships ahead of de Ferran. If you had put him in one of Penske's Reynards in 2000 he would have had a great engine for road and street courses, and I reckon it would have been frankly embarrassing for the rest of us on ovals. 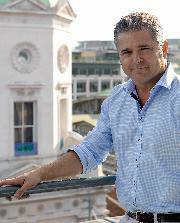 The sky was the limit for what Greg could have achieved." Tragically, such speculation will remain exactly that. The final race of 1999, at Fontana, Moore's final race for Forsythe, would be his final race ever. The day before, he had been knocked from his scooter in the paddock, breaking a bone in his right hand and incurring lacerations that required 15 stitches. He was granted special dispensation to run some practice laps on the Saturday morning, and he declared himself fit to race. But having missed qualifying, he would have to start from the back of the grid. No matter, the greatest oval driver in the world had a 500-mile race in which to prove it. The perfect challenge. "I remember that whole weekend he was very pumped," says Kanaan. "He had shown me his new Penske race suit and photos of the new motorhome he was having built. Then on raceday, after the driver parade, his final words to me and Dario were, 'Hey, give me room when you see me, because I'm coming through! See you at the front." Moore went for it at the green flag, and even by his standards it was a shocking display of raw speed and courage. Frequently taking the high line in a four-car fan across the track, he sliced past the backmarkers and had reached 11th by lap four when the yellow flags flew for an accident to Richie Hearn. When they got the green again on lap nine, three more cars succumbed to the on-fire Canadian. Then it all went terribly, horribly wrong. As Greg exited Turn 2, the blue 99 car hit a bump, snapped out of his control and, at 90 degrees to the racetrack, speared off onto the infield. Gliding across the grass sideways at seemingly unabated speed, the car's tyres hit an access road that ran a few inches lower than the grass surface, gripped and tipped the Reynard so that it was its top surfaces that hit the wall with sickening force. Greg Moore died of massive head and internal injuries. "He had wanted to get from the back to the front as fast as possible and that didn't surprise anybody," says Challis, who was there that day as a spectator. 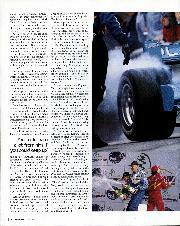 "But this day he was going too fast even for Greg Moore. He had plenty of time to win a 500 mile race, but he wanted to be leading now. That was Greg." Franchitti concludes: "He was not only an exceptional, exceptional driver, but he was probably the coolest guy I ever met, the life and soul of any gathering."